One of the greatest opportunities of living in Los Angeles is cultural variety. Truly, no other city is afforded such a musical melting pot. Walking through the columns of the cavernous Echo Park Venue, one could hear multiple languages and a dozen different dialects, all gathered together with one collective goal: to get down and dance. The opener, Empress Of, was happy to oblige with a funky DJ set. She was nothing if not humble, carrying her laptop on and offstage and shooting a small grin when the crowd reacted to some of the best moments from the mix. She split her set between club-ready bangers and traditional Latin dance numbers, showing that she knew her crowd well. No Empress Of tracks were played, but her picks showcased the love of rhythm and offbeat sounds that shines through in her own music as well. 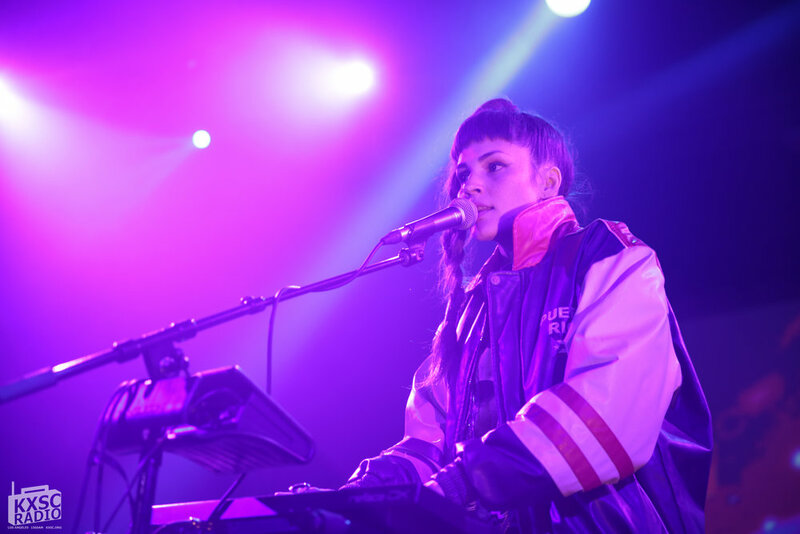 Buscabulla looked damn good for their sold out Los Angeles debut at the Echoplex. Wearing truly fantastic jackets with their native “Puerto Rico” emblazoned on the back, Raquel Berrios and her husband Luis Alfredo del Valle commanded the attention of a multilingual and multinational crowd. The duo have released only two short & sweet EPs (the first produced by Dev Hynes AKA Blood Orange), so those gathered at the Echoplex on Monday, February 27th were intimately familiar with their sound and style. As a result, it felt like everyone was tuned to the same high-energy frequency. “Buscabulla” is Puerto Rican slang for “troublemaker,” and the sly spirit of the band shone through in their first west coast performance. All throughout the night, Berrios called for dancing, but there was no need for her to encourage the crowd. Regardless of ability to comprehend the lyrics, what translated was real good music and a real good time.